ABC News was one of the first on the scene yesterday, when residents of 188 Sixth Avenue were evacuated after construction work next door on the Quinlan-Tavros luxury condominium development caused their building to shift. Within the hour reporters from all the network news channels and multiple radio and print venues were on the scene. 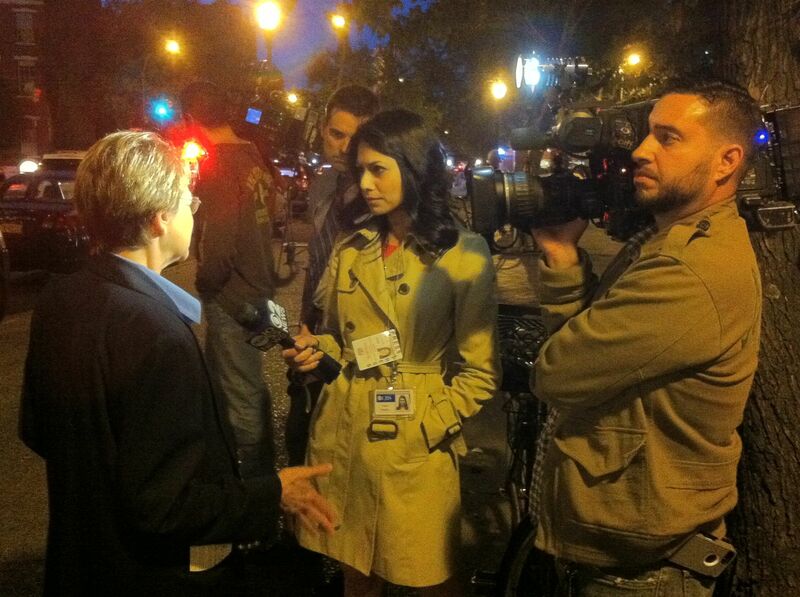 CBS News Interviews Assemblymember Deborah Glick, our only elected official on site last night at the 188 Sixth Building evacuation. Residents Have Long Testified About the Problems with the 180 Sixth Avenue Development: South Village neighbors David Chester and Harry Pincus testified on Tuesday, February 11th at the City Council public hearing on Hudson Square rezoning plan. Chester underscored the need for affordable housing in our neighborhood. Pincus noted that European cities have figured out how to preserve their civic treasures, why not get it right in New York’s South Village? David Chester testifies at City Council Hudson Square Rezoning Hearing – February 12, 2013 from South Village Neighbors on Vimeo. Harry Pincus testifies at City Council Hudson Square Rezoning Hearing – February 12, 2013 from South Village Neighbors on Vimeo.